To raise the disability issues such as physical and attitudinal barriers towards people with disabilities across the nation and contribute to increasing awareness and removing prejudice so people in wheelchairs can live dignified lives. Though it is too early to state that certain outcomes are results (direct or indirect) of the activities carried out under the ETC project, the reach of people in wheelchair and public during different sensitization events remained significant. Likewise, the views generated by the sensitization video remained encouraging. In all, the project team believes that the objectives of the project have been met to a greater extent. Two sensitization workshops for media persons was conducted. In the first event, the ten journalists from different media sectors were sensitized on positive media portrayal of people in wheelchairs through sensitization workshop which was held on 23rd June 2017. As a result, five articles were published by the participants. The second event entitled “Media Interaction on disability and public service Announcement/ Advertisement (PSA) Video Release” was held on 31st January, 2018. The total number of participants were 51 including 20 Journalists. The program was chaired by Govinda Prasad Adhikari, Chairperson of Karuna Foundation Nepal. We had Krishna Hari Baskota, the Chief Information Commissioner from Nepal Information Commission; Govinda Aacharya, President from Nepal Journalist Association and Sangita Khadka, Member from Press Council Nepal, the first as chief guest while the latter two as special guests. Three events of “Empowerment training for people in wheelchairs and their families” were conducted each on 15th and 25th of August and 10th November 2017. A total of 56 participants (Male: 25; Female: 31) including 30 persons with disabilities were reached through those events. While the first one was conducted in Kathmandu, two of the others targeted people in wheelchair under rehabilitation at Spinal Injury Rehabilitation Center (SIRC) located in the outskirt of Kathmandu valley. This was done so to extend the reach of awareness programs to those who were in need rather than those reachable. The participants in wheelchairs and their families were trained on disability definition, problem definition, social issue analysis, disability laws and policies. 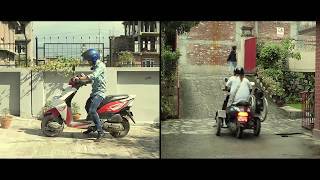 Likewise, two disability awareness videos were produced in the period under review. Through these videos, we were able to reach many people on Facebook and YouTube which helped to spread disability awareness among the mass. 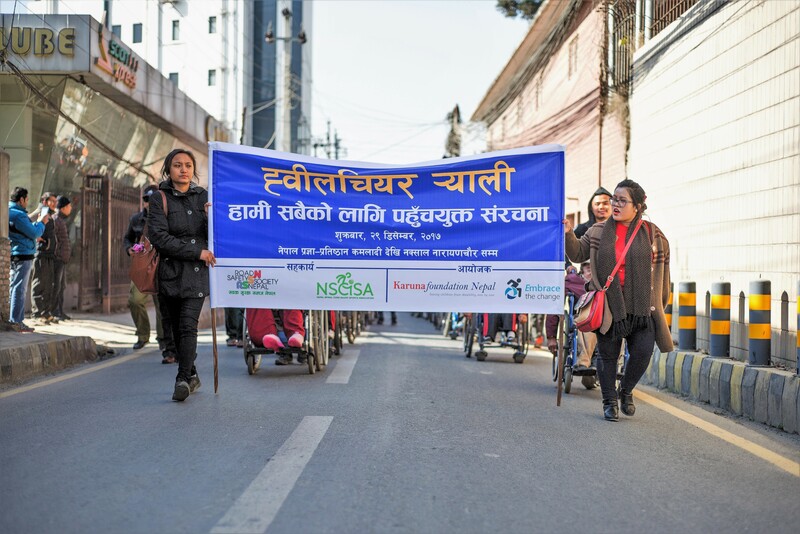 KFN in coordination with Road Safety Society Nepal (RSSN) and Nepal Spinal Cord Injury Sports Association (NSCISA) organized a Wheelchair Rally on 29 December 2017. The rally commenced from Pragya Pratisthan Bhawan, Kamaladi and concluded in Narayanchaur, Naxal, Kathmandu. The objective of the rally was to create awareness regarding the need of accessible infrastructures including buildings, public spaces and roads which enables wheelchair users on an equal basis and thus make the government bodies and general public responsive towards the present infrastructural barriers. Representatives from Ministry of Women and Social Welfare and National Federation of Disabled Nepal joined the program. A total of 70 people in wheelchairs and others participated in the rally.